Westfield is seeking input from locals to help tailor its new Coomera Town Centre for far northern residents. "With a restaurant precinct, Event Cinemas, and an abundance of open green spaces, Westfield Coomera will be the perfect place to catch up with friends and family! ATT: foodies, what are some of your favourite restaurants and cuisines?" Westfield Coomera Facebook page. With a planned investment of $470 million, Westfield Coomera will be a place to exceed expectations and celebrate life’s aspirations. The centre will deliver a new experience for the community, creating a benchmark retail, dining and lifestyle destination that will transform the northern Gold Coast. 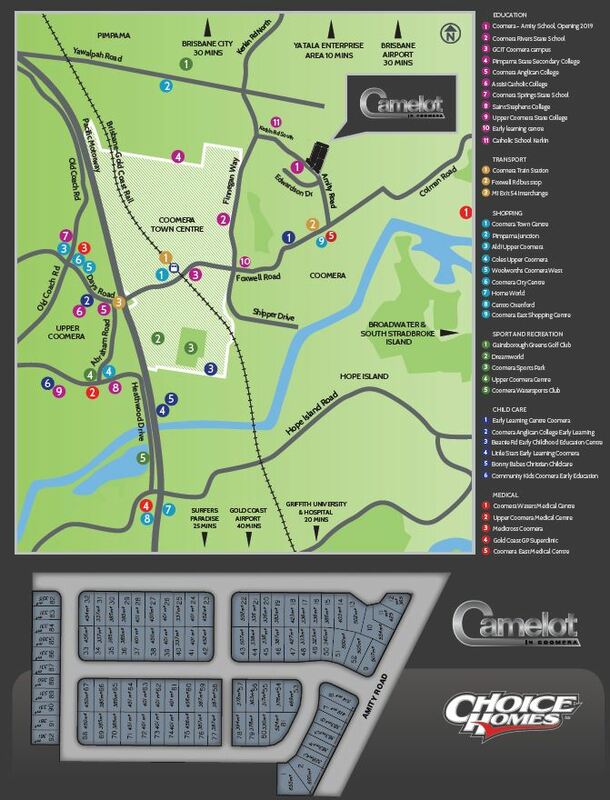 Visit Camelot in Coomera, Choice Homes closest community within 5 minutes drive of the Coomera Town Centre - HERE.